As you bite into Juliette’s dark eye, all the fresh flavours of Spring are released. The lily of the valley ganache melts in the mouth and brings the taste buds to life. A chocolate with very pronounced, geometrical patterning, containing a thick, pure hazelnut paste. The paste is flavoured with honey and a wide variety of flowers. 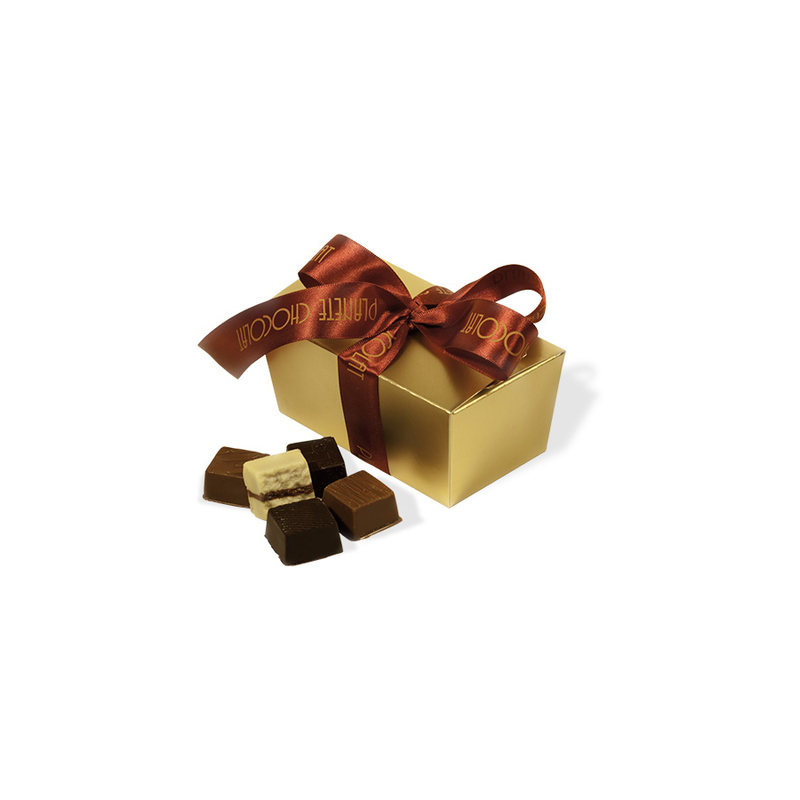 Dark chocolate coating a thick and pure hazelnut paste, supplemented with light notes of orange and mint. It can be leisurely enjoyed after a meal (accompanying coffee).The design on the chocolate recalls an oriental arabesque. The sweetness of almond and the intensity of mint combine wonderfully to form a creamy, flavoursome mousse, contrasting with the dark chocolate coating. The intoxicating aroma of the mint rises into the sinuses to stimulate the olfactory sense. This fusion of the two beans, coffee and cocoa, is much celebrated. A volcanic eruption of the two roasted ingredients, in a flowing caramel of the kind we know and love! The homogeneity of the pine nut-based filling depends on a precise balance between the cocoa butter and the nut. Its crisp, pronounced flavour recalls that of the almond. Our team of passionate chocolatiers continue to create new flavors and shapes, appealing to both the eye and palate. Delivery for free within 24h to Belgium, France, the UK, the Netherlands, Germany, Luxembourg, Denmark and Monaco. Check here for more destinations.